Posted February 20th, 2017 by Jenny & filed under Uncategorised . Today I had the pleasure of enjoying a reflexology treatment with our practitioner Linda. I last had a reflexology about 8 years ago, which I remember was nice but couldn’t remember much about the treatment. I must say It was one of the most relaxing treatments I’ve had for a very long time and I thoroughly enjoyed it. Reflexology is a foot treatment, working on pressure points and massage, below I have attached some more information on the treatment and Reiki another service that Linda offers. 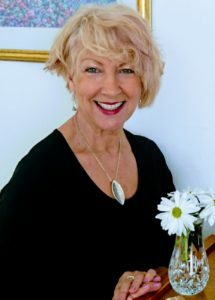 Linda works from her home practice where our clients can enjoy her treatments in a relaxed and calming environment. With candles and relaxing music in the background this is the ultimate in a relaxing experience, whilst promoting natural health both mentally and physically. I highly recommend you try these treatments, having now had the treatment myself I can see how they benefit all types for people. Both treatments are £40 each Linda is offering 10% off as an introductory offer for February and March! Please quote The beauty boutique when booking. You can contact Linda to book in on 07749471202. With ever increasing levels of stress in our everyday life, it is important for people to take more responsibility for their own healthcare needs. Reflexology and Reiki Holistic Treatments are a natural alternative to healing the body and mind of stress related illnesses. Reflexology works on pressure points specifically on the feet area. By stimulating these pressure points on the feet it helps to promote the body’s own healing mechanism and aids the body to a natural recovery. Reflexology is a non-intrusive complementary health therapy, the theory being that different points on the feet correspond with different areas of the body. Reflexology is a very individual treatment which is tailored to each individual client, taking into account the physical and non-physical factors that might be affecting the clients wellbeing. Reflexology – By working on all the pressure points of the feet, the Reflexologist addresses internal organs and glands as well as muscle groups, bones, nerve ganglions (solar plexus, brachial plexus) and nerves (sciatic) during a session. If you have a specific condition, the Reflexologist will carefully feel and work the area corresponding to the presenting problem. However, they will also work all areas of the foot with gentle pressure, because, according to reflexology theories, this allows the nerve pathways and congestion to release and promotes the relaxation response for the entire body. Reiki can loosen blocked energy, restore vitality and aid with a number of physical, mental and emotional pain. Reiki works by placing the practitioners hands on or above the body, acting as a channel for the energy to flow evenly throughout the body, allowing natural healing to take place. Clients may be suffering from physical, mental, emotional or spiritual pain in which Reiki can loosen blocked energy, restore vitality and cleanse the body of toxins. 45 Railway Street, Hertford, SG14 1BA.